If after work I get to come home and crack one open that is a good end to the day. Such is the case tonight and I’m already nearly finished with my choice for tonight: Grolsch Lager. This lager is crisp and refreshing with almost a bit of tartness to it. That tartness to me is characteristic of Dutch lagers. When they get light struck that tartness turns into a bit of a skunky flavor which I personally don’t mind, but tends to offend others. Not much else to say in regards to the flavor profile. I mean it tastes like malted barley, hops, yeast, and water really, but in a very tasty way. 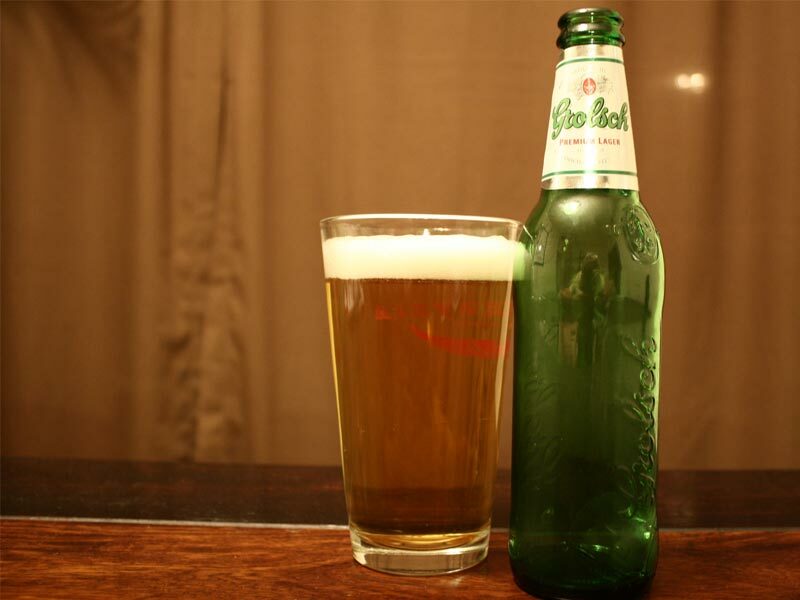 There are no off flavors or bizarre after tastes, just Dutch lager in pure form. I would like to one day side by side compare Heineken and Grolsch. I’m a fan of both (beer aficionados make snide comment here) and it would be an interesting experiment. There’s a lot of talk about “session beers” these days. Beers that you can drink at least a few of in a sitting and not feel full to the brim, have at your side whilst playing pool with a couple friends, or serve at a party to those that want something good to drink but don’t need to analyze every ounce of. I look at the session beer as the fail safe. It will please my taste buds time and time again without troubling them to think too hard about the complexity of flavors to unravel. Thanks, Grolsch, for being there for my taste buds and me. I wouldn’t prefer anything over an ice cold bottle of Grolsch.